In the north of Italy they’re known for making some prodigious wines – barolo, brunello, barbaresco to name a few. But on any given Tuesday night, they’re probably not drinking any of those. Nope, the weeknight, goes-with-anything staple is Dolcetto, an often overlooked wine out of historical Piedmont. Dolcetto is an easy-growing grape that produces the ideal table wine for a midweek dinner. Although it’s not as popular as the Barolo and Barbaresco coming out of the elite growing region of Piedmont, this easy drinker is still incredibly popular in Italy. One of the major benefits to growers of Dolcetto is that it ripens much earlier than other grapes in the region. Because of this, Dolcetto grapes are often grown in addition to other Piedmont wines, because the “early to market” wine can be grown, produced and sold while other fine reds with aging requirements like Barbera and Nebbiolo mature. 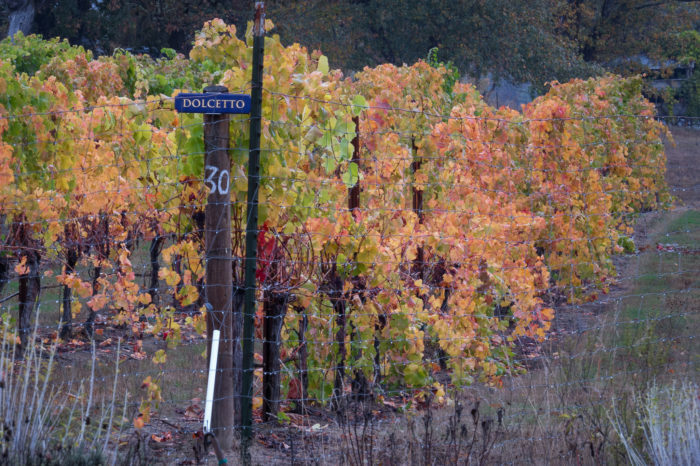 Dolcetto translates to the “Little Sweet One” in Italian, which is kind of a misnomer. Dolcetto is actually not sweet at all in the sugary sense, although it does have strikingly prevalent fruit flavors like blackberry and plum. 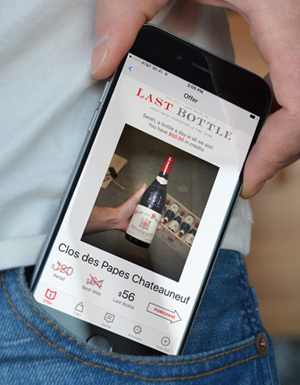 It is in fact extremely dry and light-bodied with fairly high tannins. The affectionate name actually refers to how the more soft and subtle Dolcetto stands up to the vibrant, full-bodied and aged reds that also come out of the Piedmont region! Dolcetto has been around for a long time, so long that the origins of its’ history are a little murky. There are two running theories- one, that it originated in France and traveled over to Monferrato in the 11th century. The second credits the village of Dogliani in the Piedmont Region for growing it in the 16th century. One thing is for sure- a document from 1633 recorded the definite presence of Dolcetto wine in the cellars of noble Italian family. Dolcetto is hardly planted anywhere outside of Italy, but because of its age and distinction, a few styles have arisen out of the Piedmont region. Dolcetto d’Alba is grown in the hills around Alba and often has more floral notes than other members of the Dolcetto family. It often carries aromas of lavender and violets, as well as almonds. It is also not quite as bold as Dolcetto di Dogliani. To be crowned a Dolcetto d’Alba Superiore, the wine must be aged a minimum of 14 months. Dolcetto d’Asti grows in the hills southeast of Asti. It overlaps with the Barbera d’Asti zone, as well as the original zone where the well-known Moscato d’Asti is grown! Although Dolcetto D’Asti is grown only from Dolcetto grapes, the growing region and characteristics lends itself to creating a more light drinkability than other Dolcetto varieties. Dolcetto di Dogliani originates in the town and surrounding hills of Dogliani, sometimes credited as the birthplace for Dolcetto. Dolcetto di Dogliani is much more bold than other Dolcetto varieties, with intense flavors and characters like rich black fruit, coffee and deep chocolate. As a red, Dolcetto should be served at 60 to 65 degrees fahrenheit. It accompanies a large amount of dinner dishes, which makes it a fantastic table wine, the ideal “Tuesday-night-goes-with-anything” pick. An easy-drinker with modest acidity and soft fruity flavors, Dolcetto is often enjoyed alongside Barbera in its native Piedmont while more serious Barolos and Barbarescos take their time to age. Dolcetto is perfectly accompanied by meat dishes. Grilled or roasted chicken, salmon, meatloaf or cheesy pasta are great dishes to balance out it’s high-tannin, low-acidity profile. With it’s growing region of Piedmont in mind, Dolcetto pairs perfectly with the local cuisine. Try gnocci with red sauce and mushrooms, or some decadent white truffle with risotto. For a truly authentic pairing experience, try a sip with the Piedmontese appetizer of fonduta, a rich fondue of cheese, eggs, milk and white truffles! Dolcetto translates to “little sweet one,” and though the wines produced are typically not sweet in terms of residual sugar, they do possess delightfully fruity flavors of red cherry and blueberry, with an almond-like bitterness at the end and occasional hints of chocolate and licorice. While Dolcetto can be tannic, it is relatively low in acidity. In most of Piedmont, easy-ripening Dolcetto is relegated to the less ideal vineyard locations, which are reserved for more finicky Nebbiolo and Barbera. However, in the Dogliani zone it is the star of the show, and here it makes a bigger, riper, and often more serious style of wine. Next time you’re in the mood for some Italian grub consider pairing it with some Dolcetto. It’s a much more affordable alternative to Barolo and it should appeal to just about anyone at the table!